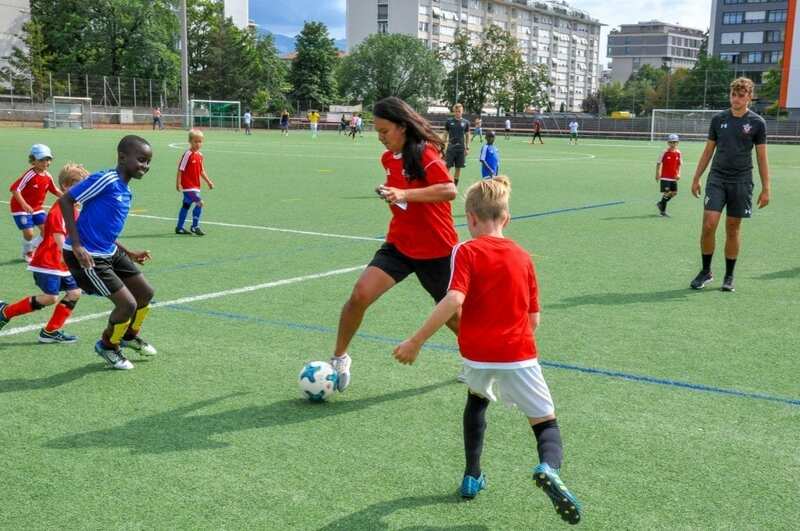 Join us this April and book now our Easter Soccer Camps across Switzerland! Let your kids experience a spring made of full-time fun, joining one of our Soccer Camps. Enjoy one of our amazing bilingual camps, making new friends and training with great professional coaches! If you are looking for a fantastic Easter camp for your child during the school holidays, with plenty of fresh air, sport, games, new friends and lots of fun, why not try one of our football holiday camps? We have 11 outdoor venues across Switzerland. Camps will go ahead whatever the weather, and our first aid trained, qualified coaches have lots of ideas about what to do come rain or shine. A once-in-a-lifetime experience! The coaches will prepare a program filled with fun games to learn new skills & improve the kids’ techniques while keeping the amusement a center focus. Easter is late in 2019, which should mean great conditions for outdoor as well as indoor activities! Our Camps are open to boys & girls aged 3-13 years. Playing abilities do not matter: it’s the joy that soccer brings that counts! You can come just for one day, or up to 4 or 5 days at a time. To add to all of the football fun, there will be an Easter egg hunt at the end of some of our camps! Mini Camps for players slightly too young for full day or have just started playing.